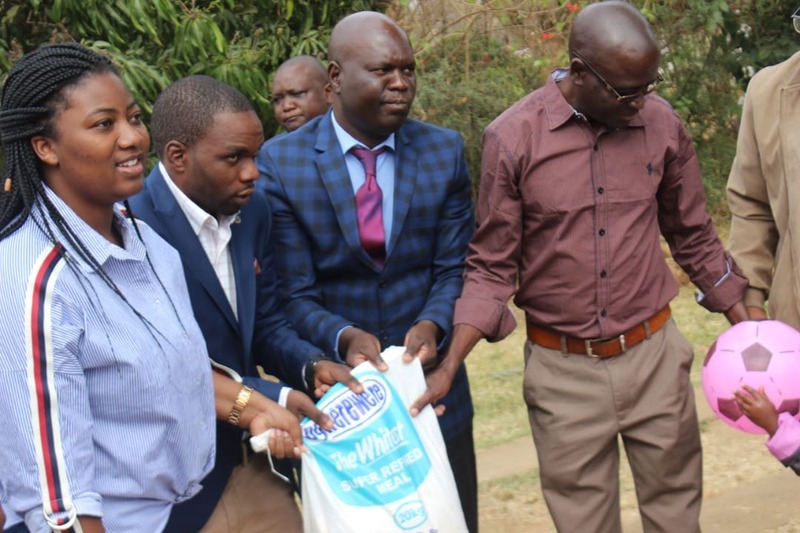 Mayor of the City of Harare, Councillor Herbert Gomba has today visited and donated groceries and other goodies to two Harare West constituency families whose houses were gutted by fire last week. Speaking to 263Chat today while handing over donations, Gomba who was accompanied by member of parliament for the area Joana Mamombe ward 16 Councillor, Denford Ngadziore said the gesture is reflective of how his office intends to address a cocktail of problems people face. Gomba said the family should not feel isolated or lonley because the problem is at the shoulders of the community with the council at the front. “The problem is not yours alone, it is for us all and this is the reason we are here including your neighbors. We will continue to support you because what we have brought here to you cannot match the the damage the fire caused to your property,” said Gomba. He added that the council will do it’s best to assist the victims to reconstruct their houses through alternative sources including hunting fishing for well wishers. Mamombe applauded City of Harare for being proactive while urging victims to be strong. “I’m pleased by the city council response and as a team we have been in touch since the accident and agreeing on what we can do to you. “Do not feel lonely, we are here to stand with you and therefore be strong,” said Mamombe. During the handover of donations which included groceries, blankets and other goods, victims pleaded with Gomba to ensure that the fire brigade steps up its response to fire accidents.